The film Zero is the story of three characters. Beau (Shahrukh Khan) living in Meerut, Scientist Afiya (Anushka Sharma) and superstar Babita (Katrina Kaif) are incomplete in life due to some reasons. Baua and Afiya did not do justice with the above. Bowa is left dwarf and Afia has such a condition that she is forced to stay on the wheel chair. Babita is good, but she does not get true love. All three are incomplete somewhere. While Baua and Afiya live in spite of lacking in life, Babita has kept a lot of sadness. 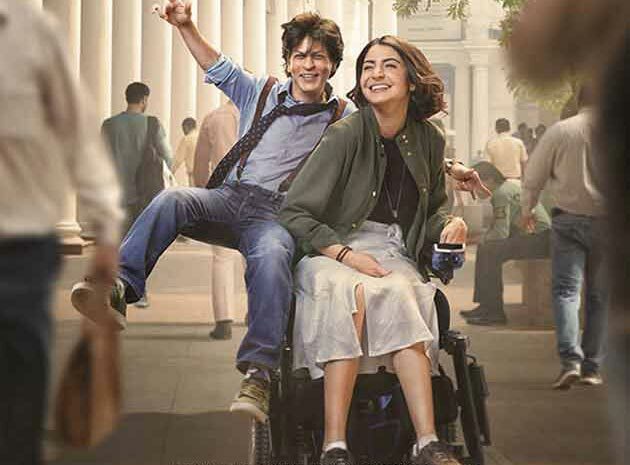 How the meeting of Bavia's Afiya and Babita changes in life, it is depicted in 'Zero'. The beginning of zero is very good. In the initial 45 minutes, the movie is full of entertainment. Whereas Boao and his father's nostrils, boo and his friend whispers, the romance of Boua and Afiya touches the heart. The song 'My name Tu' gives height to this romance. These romantic scenes have been filmed in a fabulous way by director Anand L. Rai. There is a romantic scene in the name of the story and Shah Rukh Khan, the emperor of romance, takes the weight of the film. Her acting exposes in these romantic scenes and connects directly to the audience. Breakthroughs in the serpent-mounting movie begin when the story is carried forward. Suddenly, the film starts scattering. In the love of Afiya, Khoya Boa runs away from the marriage pavilion only because she has to take part in a dance competition. In which, if she wins, she will get an opportunity to meet Babita, she is crazy. She thinks she will marry Afiya, she will lose her baby. This aspect of the story is very weak. The viewer can not understand what happened to Baua suddenly What does he do to get Afiya and when he is ready, why does he go behind? Participating in the dance competition of Boaa and reaching near Babita is shown in a very superficial way. Actually, the character of Babita has not been written correctly. It seems unnecessary because this character does not leave a special effect on the story. While living with Babita, Boau thinks that she is not from Ishq Babita but from Afiya. These types of Confucian Imtiaz Ali are often seen in the characters of the films. Baua, who likes to be liked in the opening part of the movie, sees the viewer wrong in the second part of the movie, because Boua does not see any good reason for not marrying Afia. Here is a big mistake of the film's author Himanshu Sharma. They could not accurately show the mentality and thinking of Boa. In the second half, the film loses its direction. Going to America's baua, preparing to go to Mars, having a daughter and not knowing what is happening and not understanding what and what is being shown? Ananda L. as Director The biggest mistake of opinion is that they are ready to make a film on this minor script. They took over where they could handle the film, but later they could not do anything. Like bouquets they also appeared Confuces. The effect was also on the editing of the film. Did not understand what to put and what to remove, so the length of the film was very high. Shah Rukh Khan appeared in the form and he gave his hundred percent to play the role of Baoya, but the regret is that the script was completely overwhelmed by his hard work. Anushka Sharma played the role of a girl suffering from cerebral palsy. His acting was average. The role of Katrina Kaif's roll was not much, but her performance was better. Mohammed Zeeshan Job and Tigmanshu Dhuliya laughed the audience R Madhavan's hairstyle was very bad. A glimpse of Sridevi, Salman Khan, Deepika Padukone, Alia Bhatt, Kajol, Rani Mukherjee, Karisma Kapoor and Juhi Chawla also appeared in the film. The technical team of the film is eligible for congratulations. 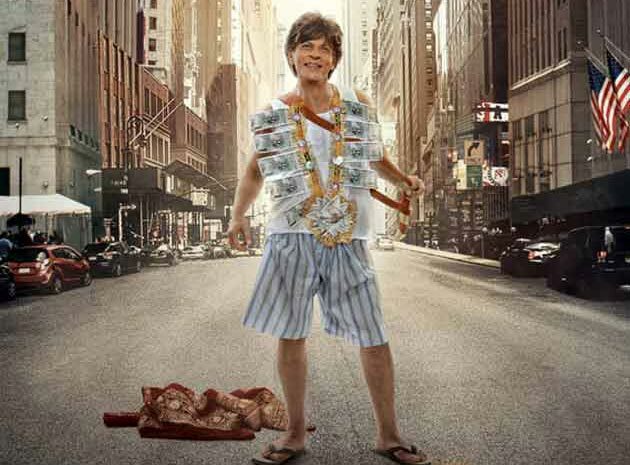 Shahrukh Khan's dwarf he showed a lot which seems absolutely real. The film's dialogue is great. Due to Ajay-Atul's tune and Irshad Kamil's fine talk, songs of the movie are worth mentioning. Zero's team found a unique dwarf character, but then did not understand what to do with it, and the movie remained dwarf. Zero is a 2018 Indian Hindi-language romantic drama film, written by Himanshu Sharma and directed by Aanand L. Rai. It was jointly produced by Colour Yellow Productions and Red Chillies Entertainment's Gauri Khan, and stars Shah Rukh Khan, Anushka Sharma and Katrina Kaif. It follows Bauua Singh, a short man from Meerut who, after having difficulty finding a marriage partner, finds a companion in Aafia Bhinder, a NASA scientist with cerebral palsy. However, leading superstar Babita also gets close with him, testing his first relationship. This love triangle takes them to far-off cities, and thrusts Bauua on an adventure to discover both his true love and completeness in a life lived to the fullest.